Thank you for being here! I hope you are enjoying some nice family time and a happy holiday weekend (for those of you who celebrate Thanksgiving). Not sure how you feel about Black Friday and Cyber Monday, but I’m kind of tired of the emails, the commercials and the ads that are fighting for my attention and trying to get me to buy, buy, buy, more, more, more! And sometimes, I find that the constant distractions in the world make me feel cloudy, stressed, confused and even lost. Do you ever feel this way? Life throws a lot at us. It’s quite easy to get knocked off center again and again and again. And I’m seeing that part of the practice in mindful living is learning how to get back there, because it’s in this peaceful, present moment space where your pure love, JOY and contentment are always within reach. So what exactly does it mean to find center? 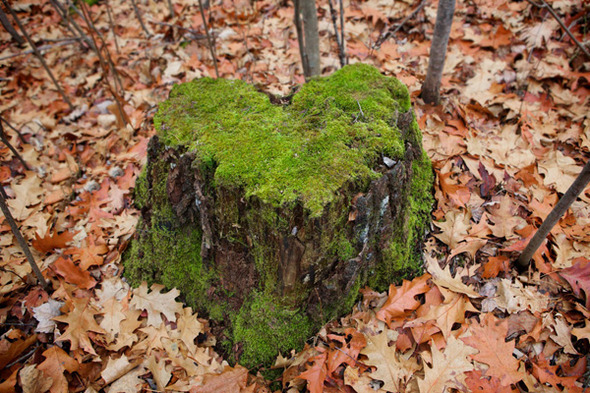 Your very essence – who you really are – is at your center. When you find center, it’s like going to the place where you feel at home. It’s when you feel most present. It’s when you feel in the flow. It’s where you feel…peace. Making a connection each day to this inner place will remind you what matters most in your life. When you get distracted and stressed and overwhelmed, it’s important to have awareness of your center – and know how to get back there. Whether you are full of joy during the holidays, or they bring you dread, it’s all too easy to get swept away by outward pressures to be more, do more, buy more, and give more. When we fight feelings of not doing or being enough, it’s almost inevitable we’ll end up over-committing or over-eating or over-spending to feel better in the short term. Finding center and remembering what matters most is about being a part of life, but not getting consumed by it. We can go to the mall or buy gifts for friends and family, without spending our grocery money. We can create a “to do” list and set intentions to make gifts, but we can also be realistic that we can’t do it all. We can indulge in sweets and the fun food of the season without bursting at the seams and feeling sick afterwards. We can volunteer and be of service without sacrificing our own needs. We can say “no” and let go of “shoulds” and feel ok with not over-doing-it, because we come from a grounded place of love and peace (not a confusing place led by regret, worry and fear). This is what happens when you stay connected to center. The more you become aware of your center, and recognize what knocks you off or triggers you, the easier it is to get back to a more grounded, compassionate place. It’s this connection to center that helps you feel an inner peace, when the anxiety and overwhelm creep in. It’s this connection to center that allows you to feel more calm, even when the outer world is seemingly moving at lightening speed. It’s this connection to center that reminds you how to love and how to be kind – to others AND to yourself. Be kind to yourself this holiday season. Interested in learning tools & techniques on how to stay connected to your center? 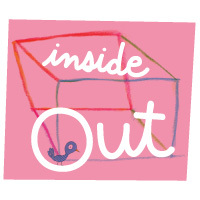 Join us for Inside Out: A Creative Adventure of Self-Discovery! Learn how to listen to and trust your intuition, and how to cultivate the courage you need to live out your inner dreams so you can be yourself and create a life you love living every single day. You will receive a FREE Inside Out audio book at the end of our course just for signing up!